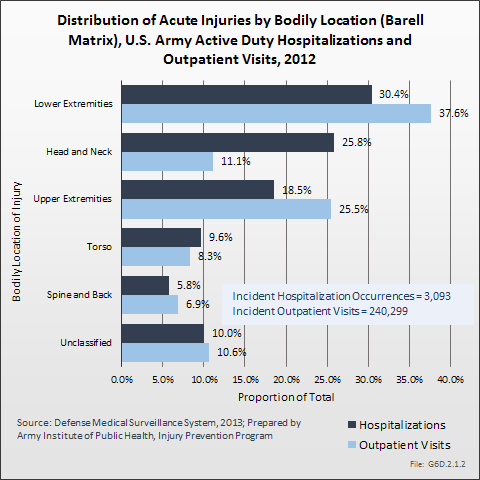 In 2012, there were approximately 370 injury-related deaths, 5,000 injury-related hospitalizations (3,000 acute injuries and 2,000 injury-related musculoskeletal conditions), and 661,000 injury-related outpatient visits (245,000 acute injuries and 415,000 injury-related musculoskeletal conditions). 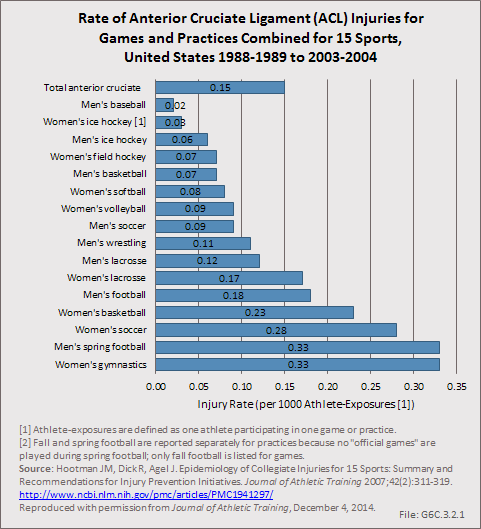 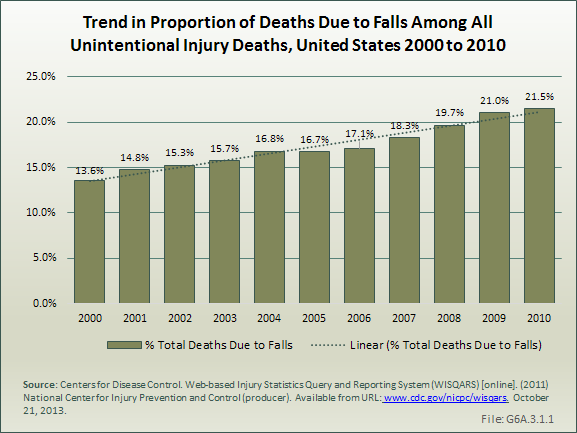 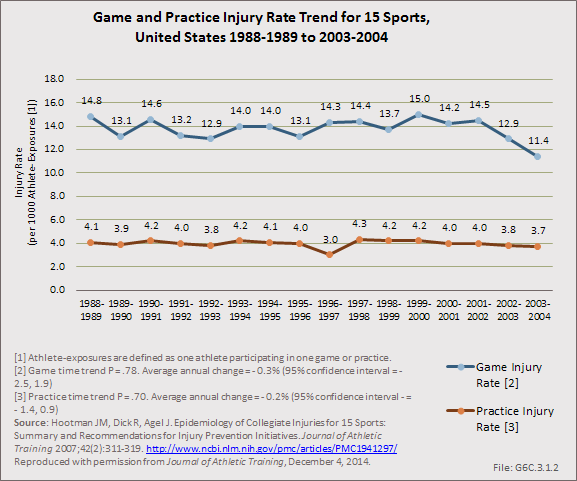 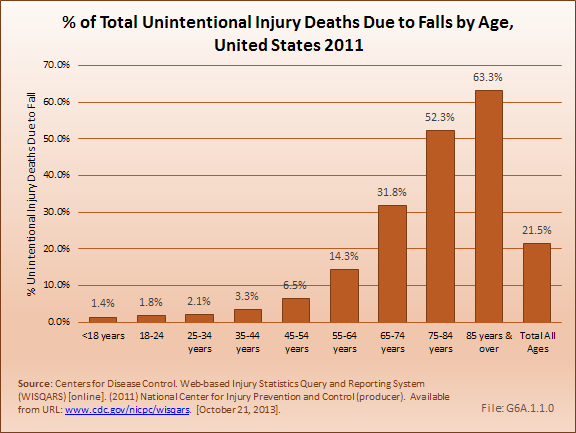 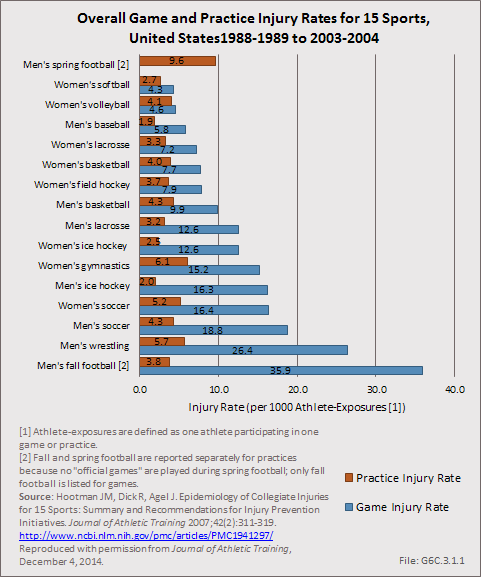 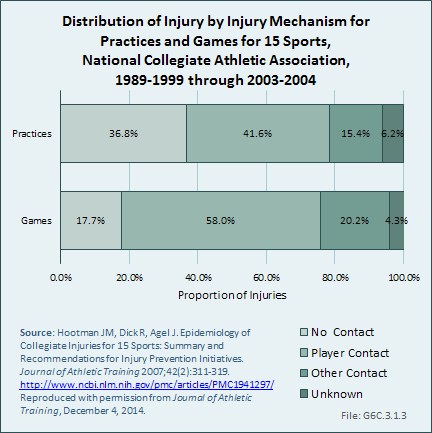 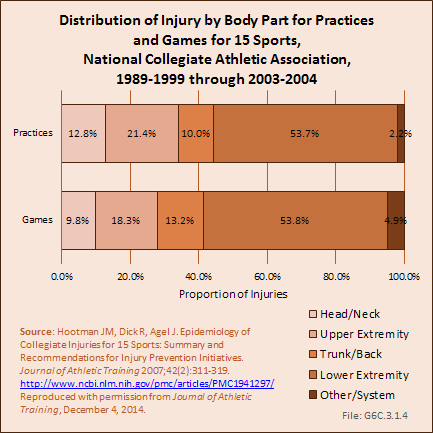 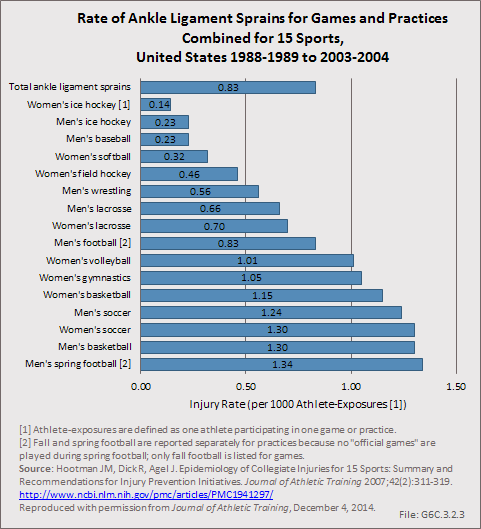 Fatalities have been a major focus of injury prevention activities in the past. 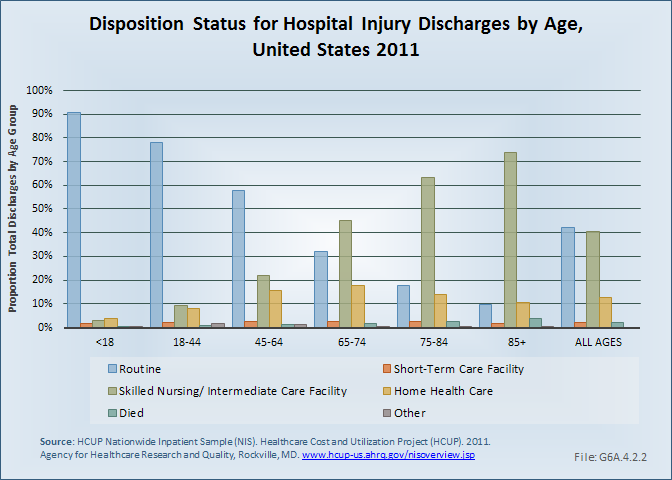 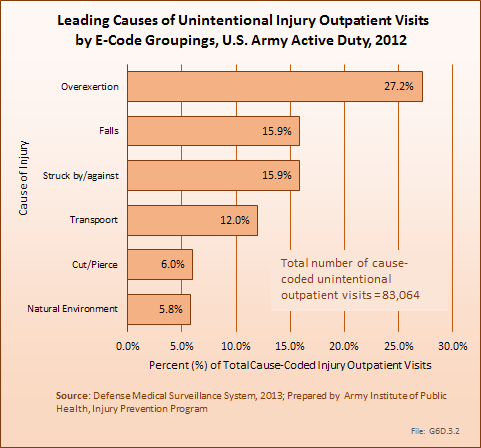 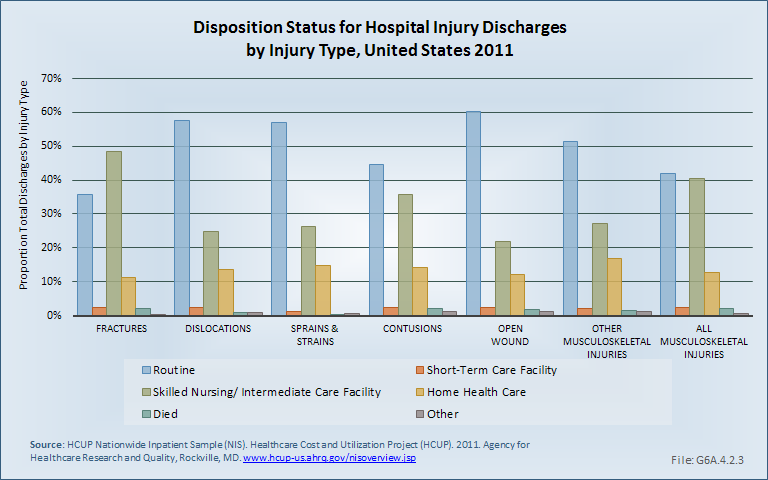 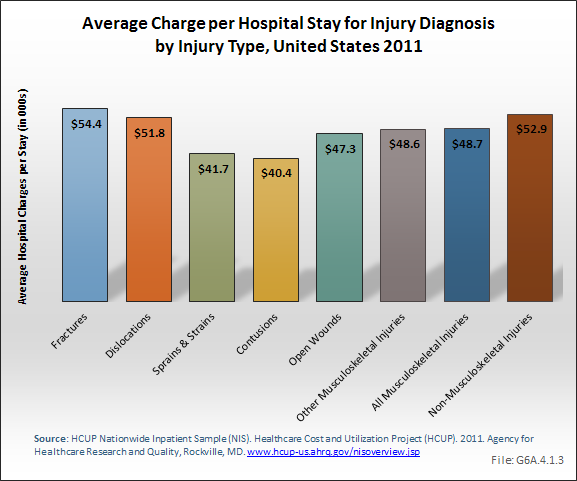 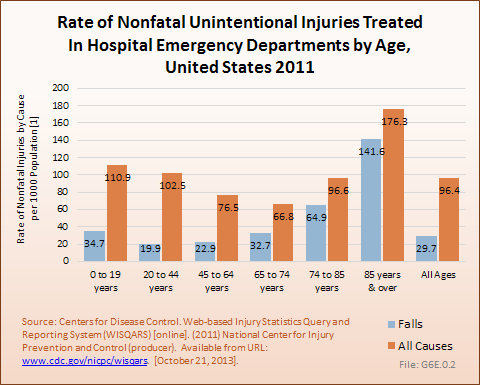 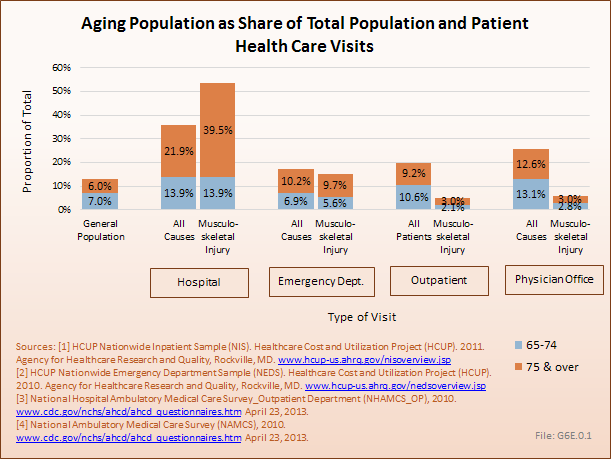 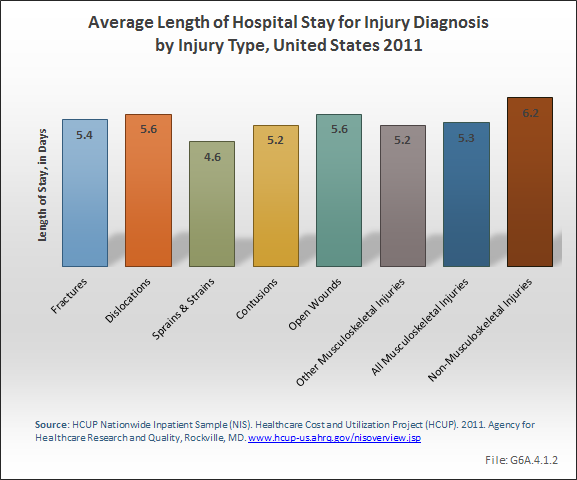 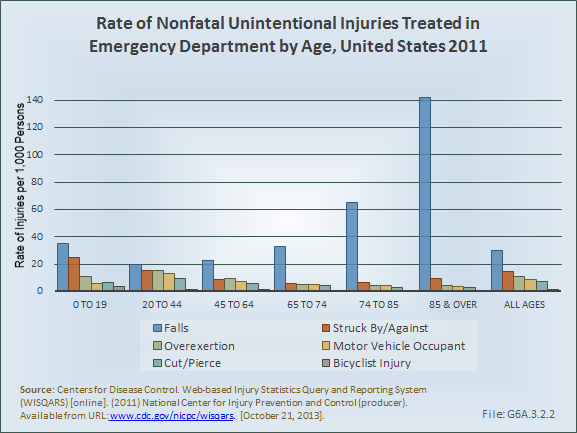 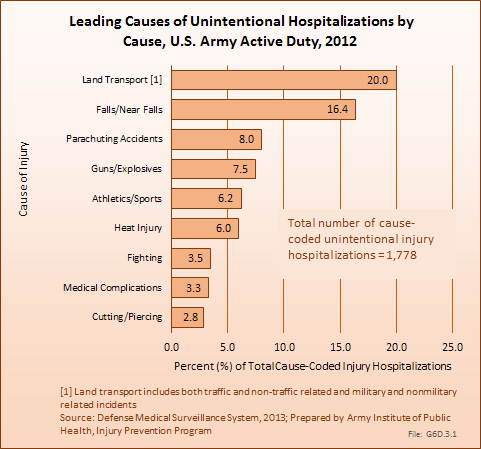 As illustrated by these data, however, there are far more injury-related hospitalizations and outpatient visits than deaths. 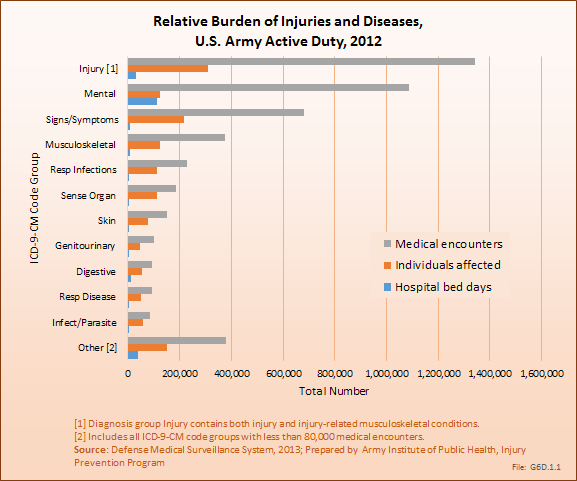 These nonfatal outcomes result in significant losses in duty time and manpower for the Army. 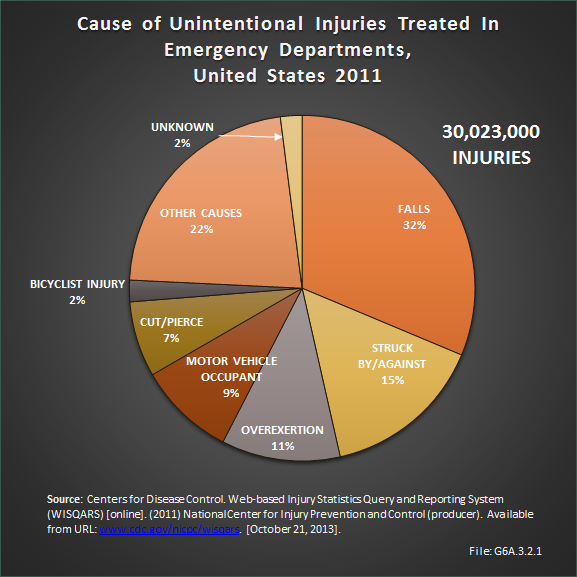 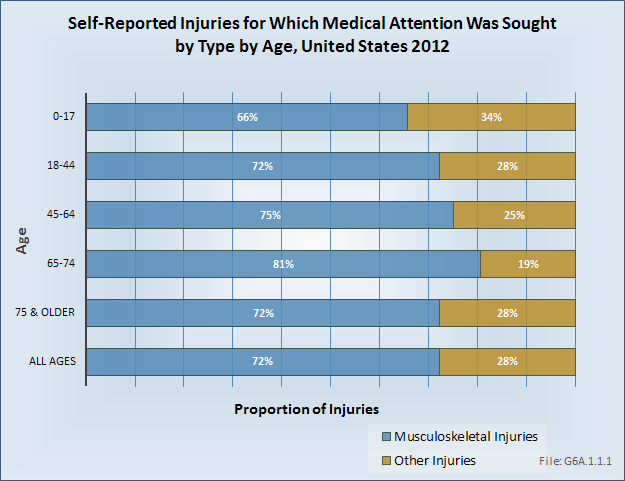 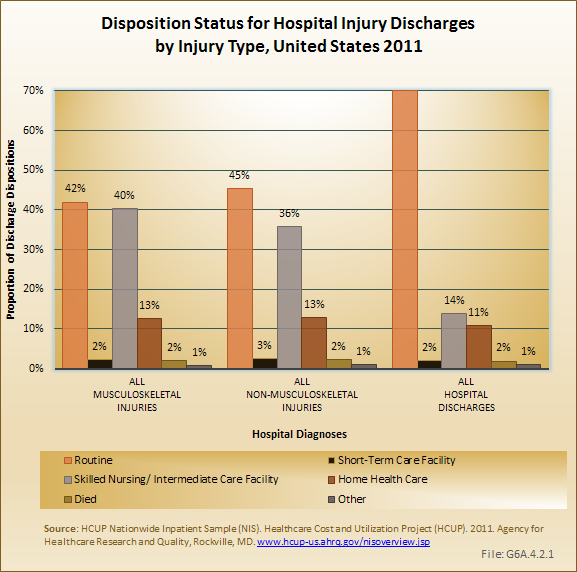 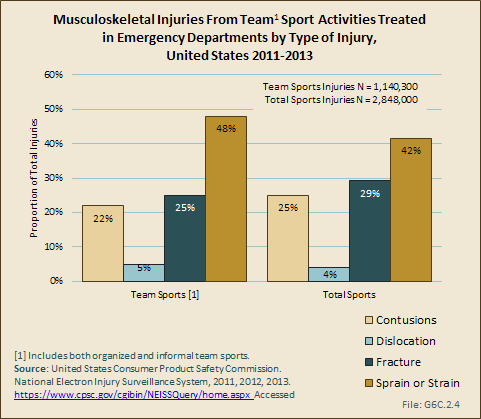 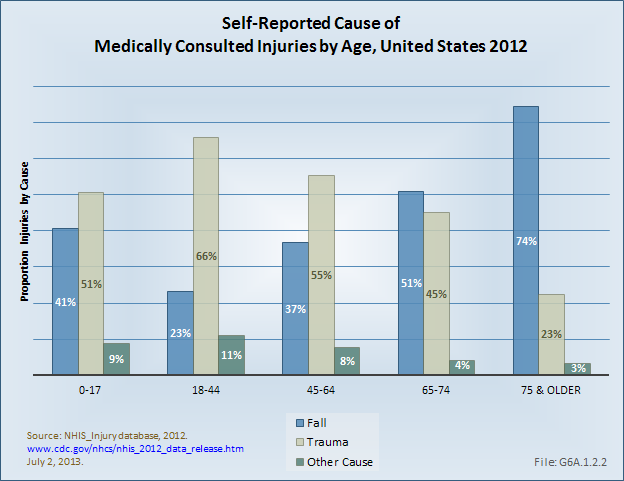 In 2012, injuries accounted for approximately 30% of all medical encounters. 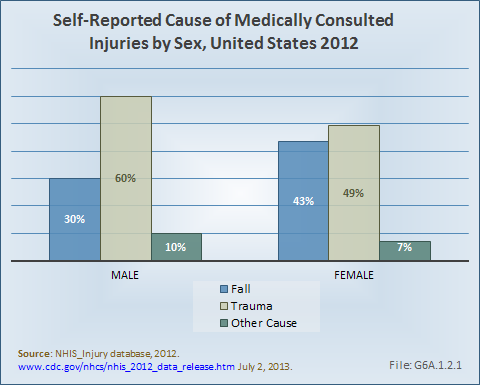 Injuries were the leading cause of medical encounters and affected more individuals than all other medical conditions, including mental health disorders. 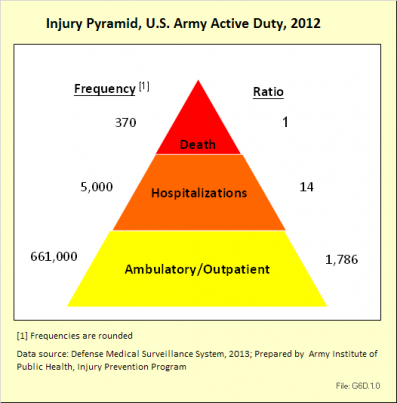 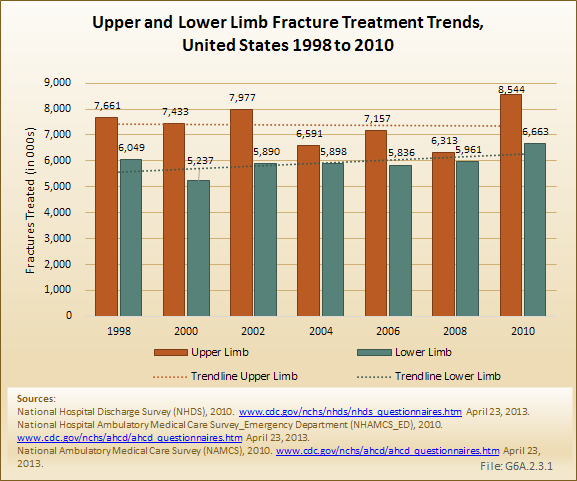 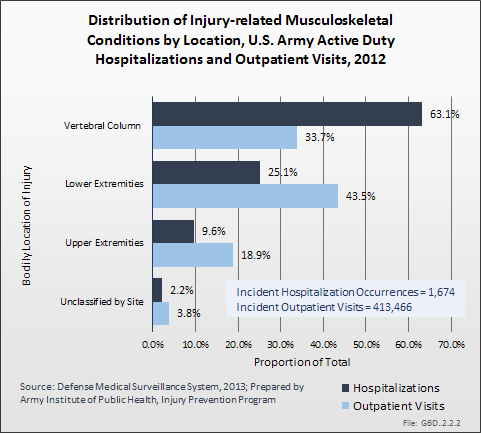 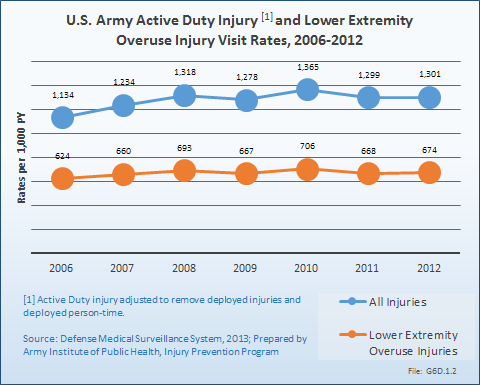 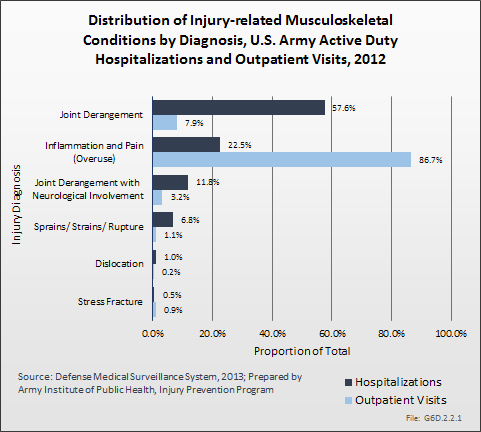 Rates of all injury visits among nondeployed active duty soldiers climbed slightly between 2006 and 2012. 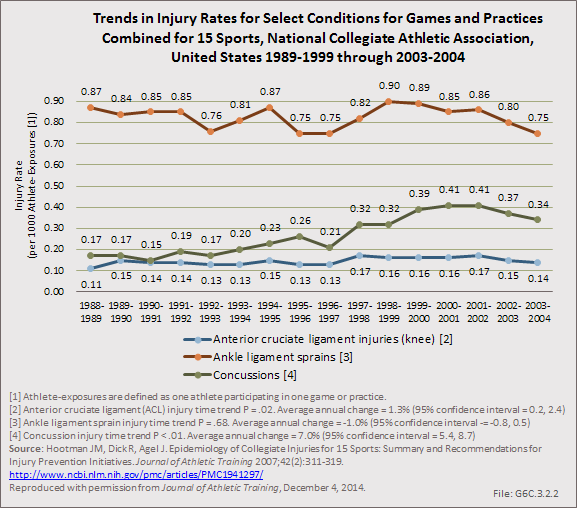 During this period, more than half the injury visits were due to lower extremity overuse injuries. 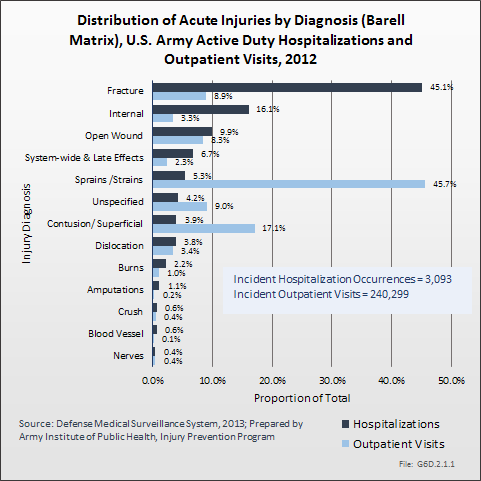 In 2012, out of approximately 39,000 incident hospitalizations, three major diagnoses groups accounted for over half of all admissions (56%). 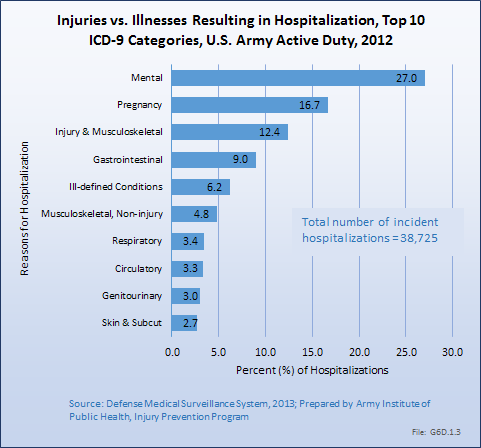 The top three reasons for hospitalization were mental disorders (27%), pregnancy-related issues (17%), and injuries and injury-related musculoskeletal conditions (12%). 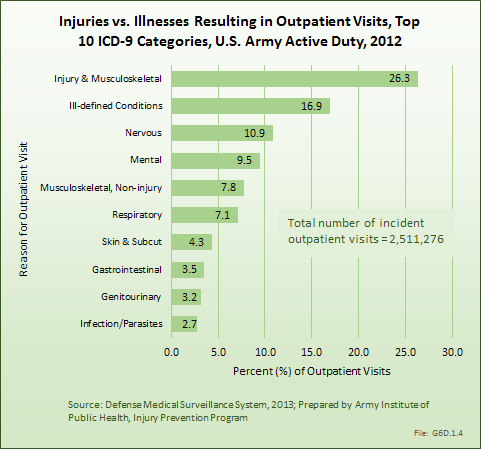 A total of 2,511,276 unique outpatient visits were made by active duty Army personnel. 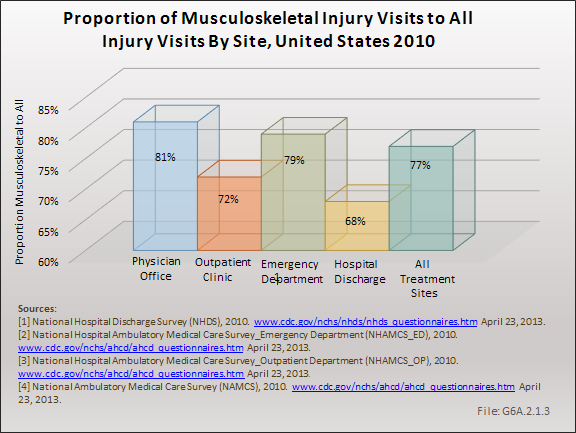 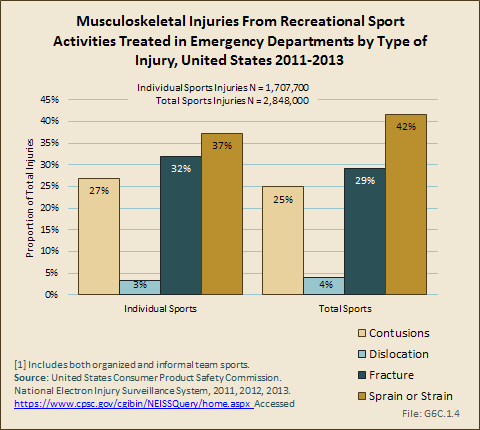 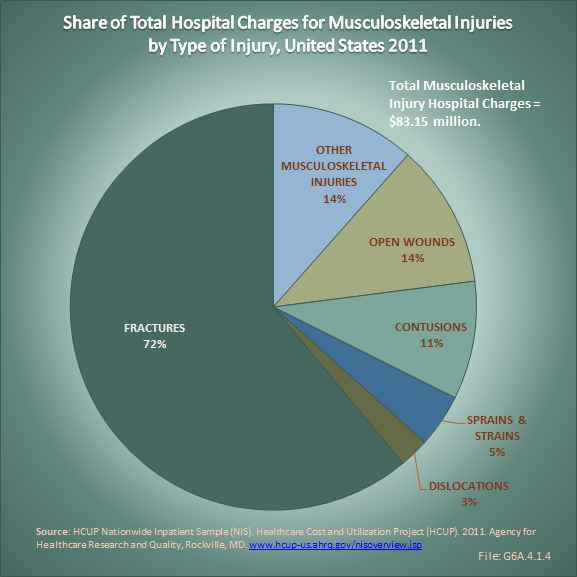 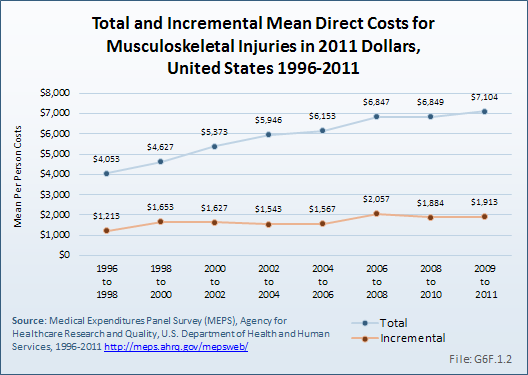 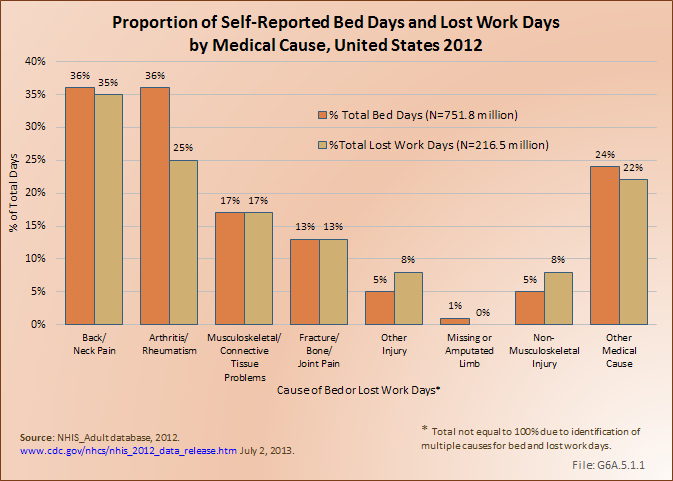 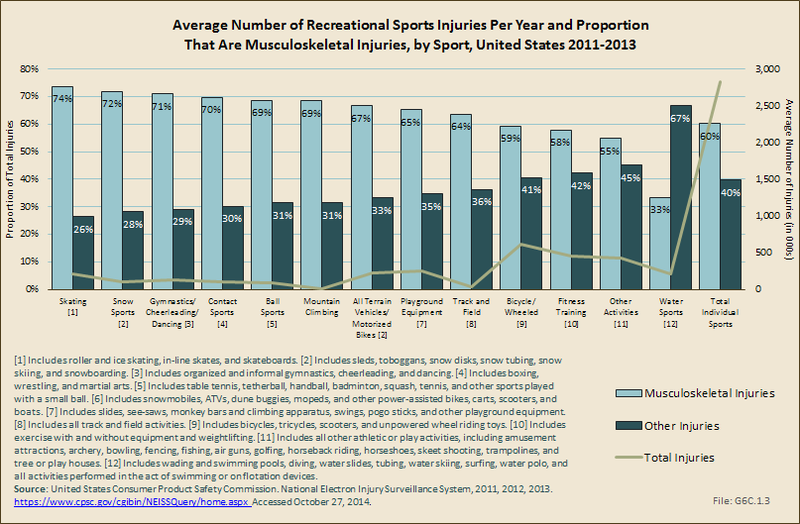 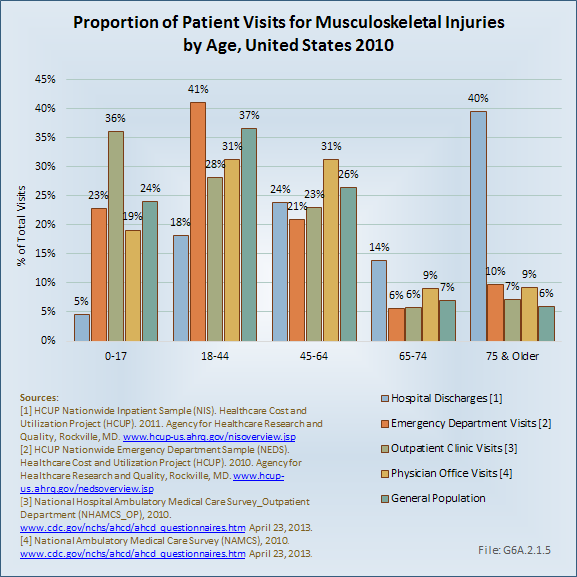 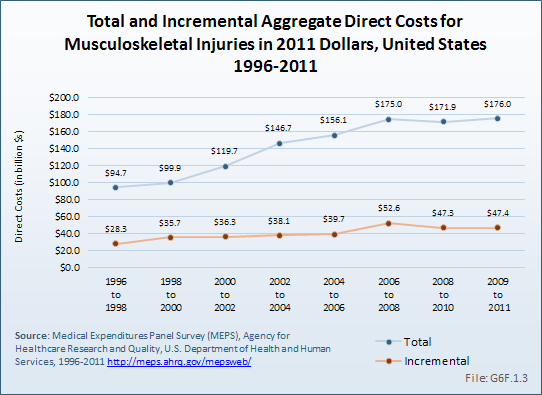 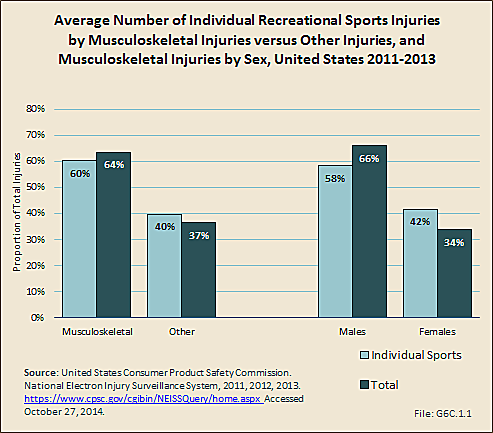 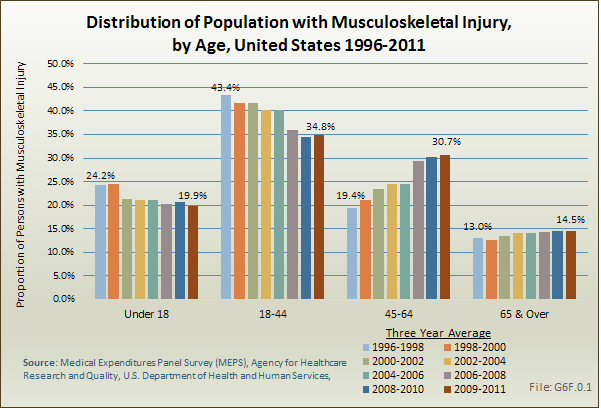 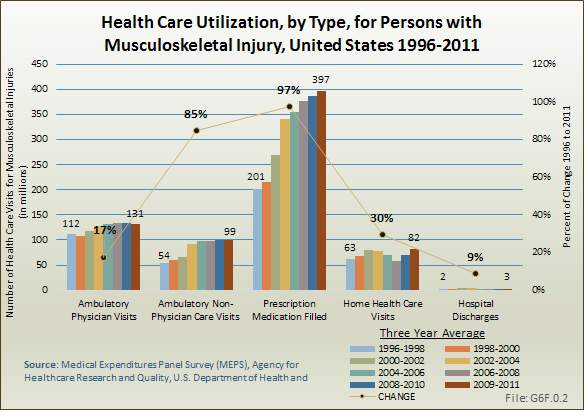 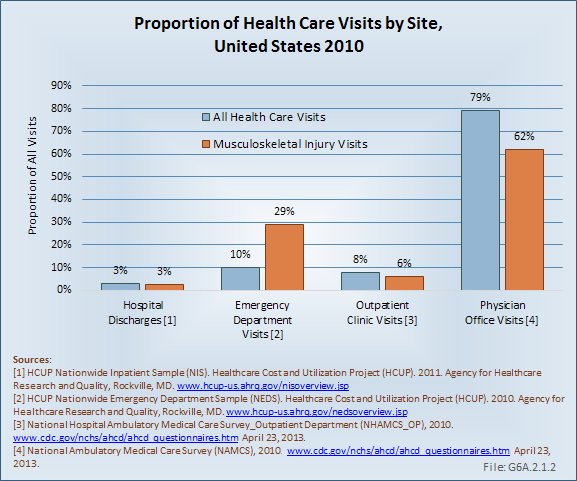 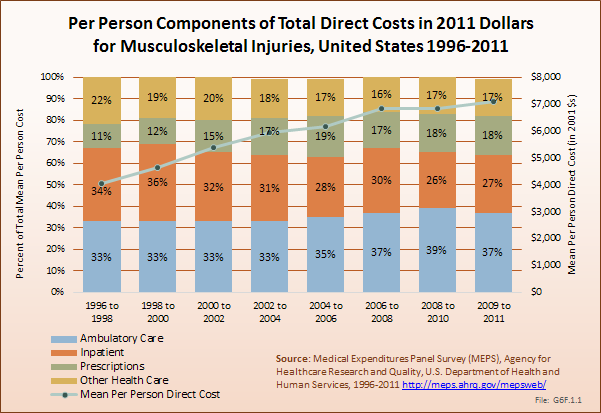 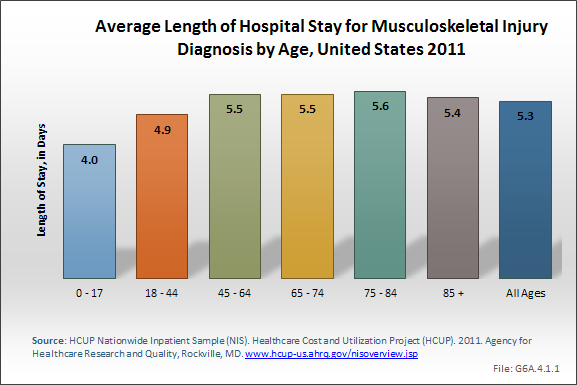 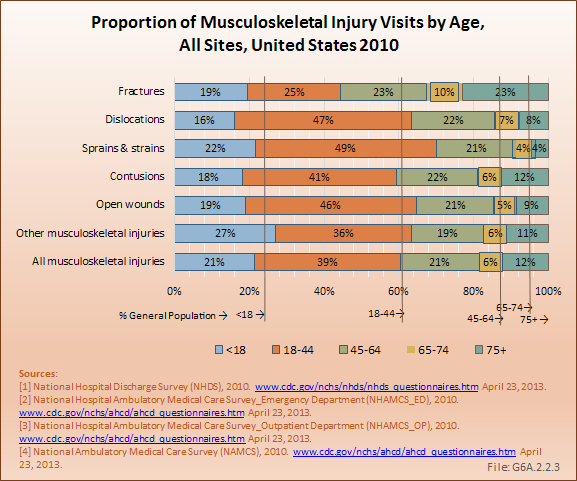 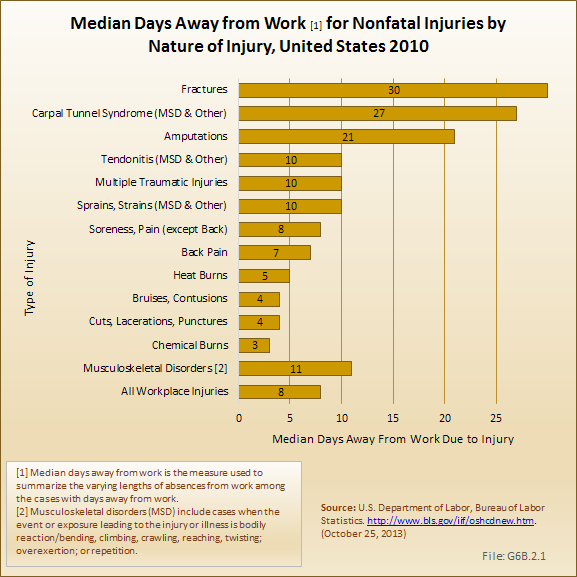 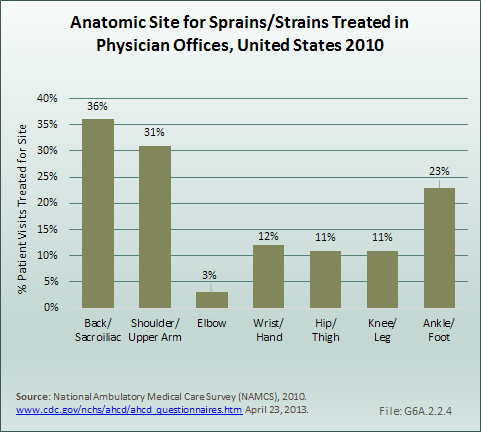 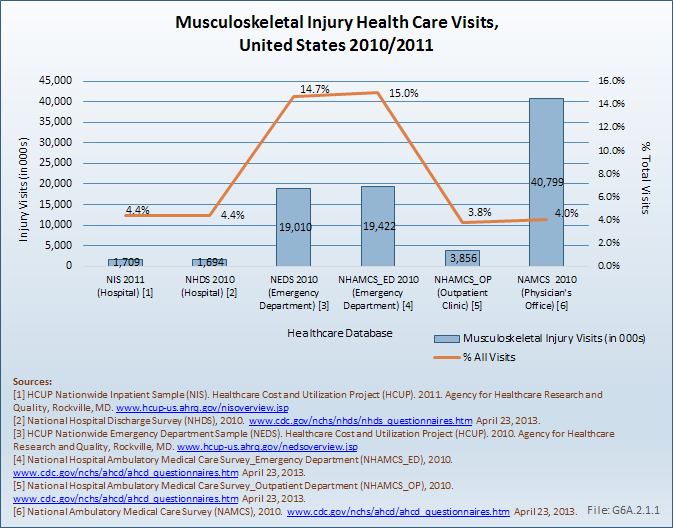 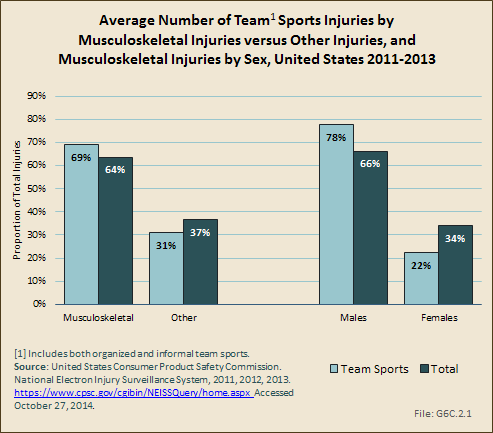 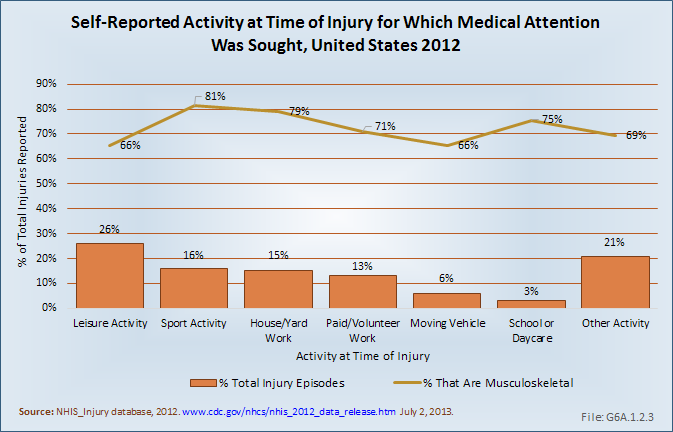 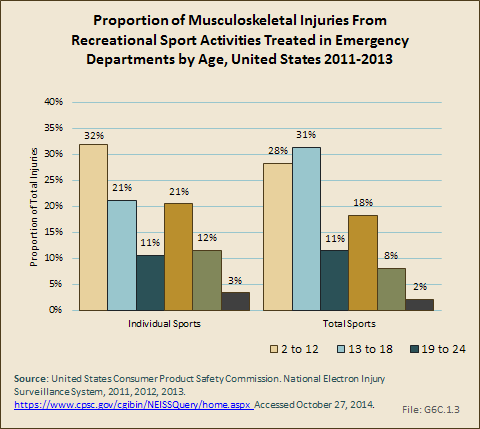 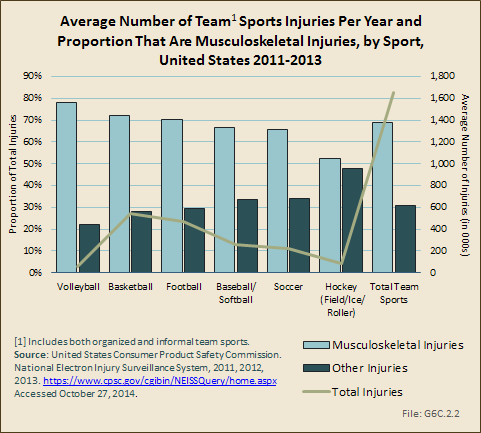 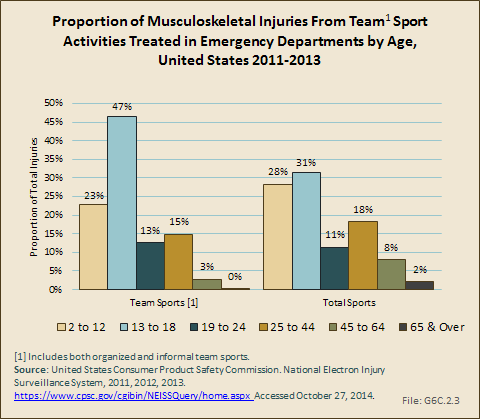 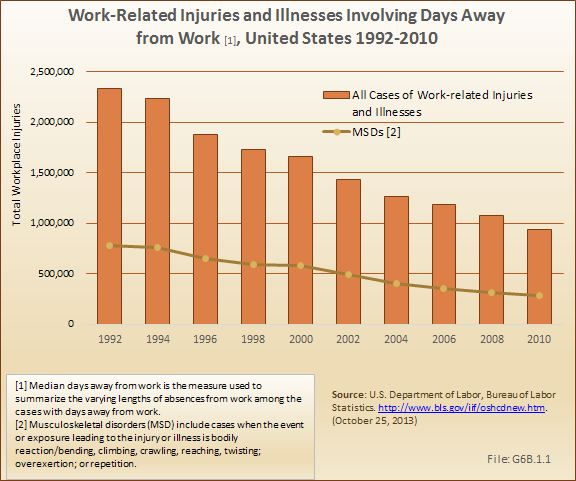 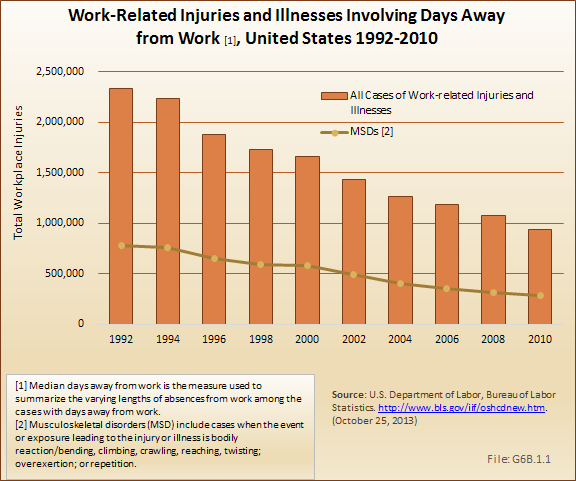 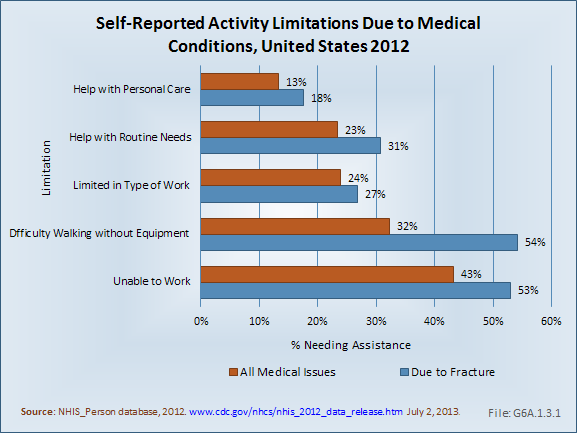 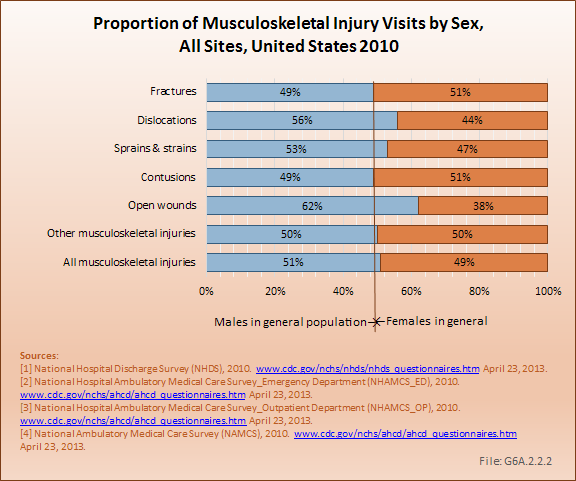 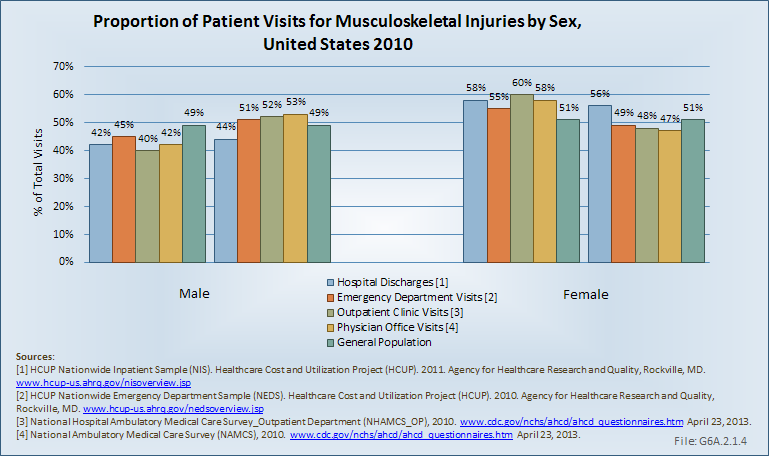 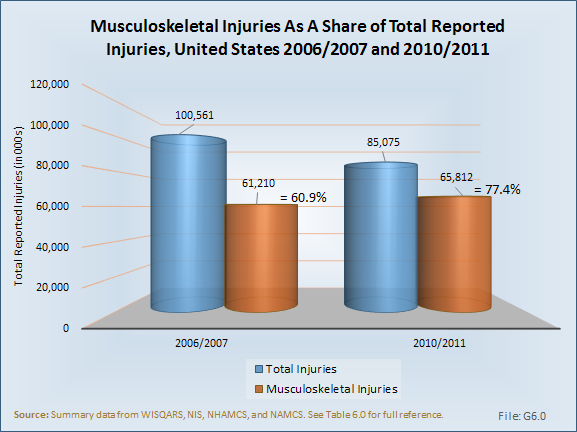 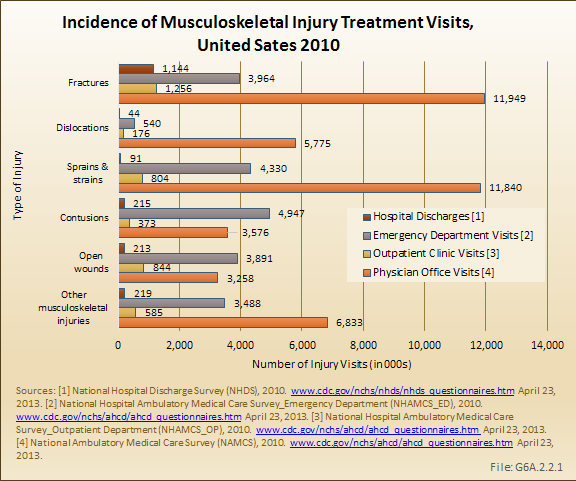 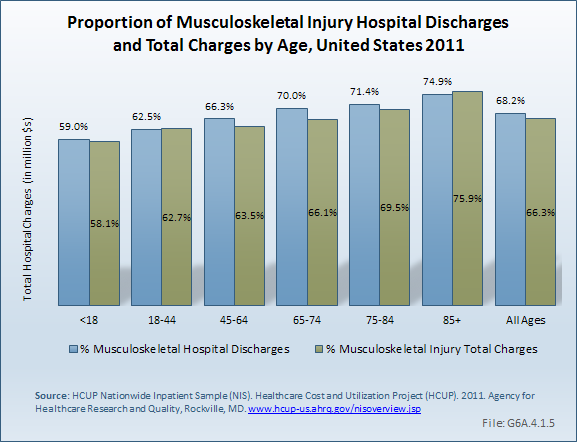 Injuries and injury-related musculoskeletal conditions were responsible for 26%, or more than 660,000, of visits.